Is Netflix preparing to acquire Roku? Roku, the big OTT set-top box/technology company, saw its stock up sharply on Friday, due to a positive research report that mulled the idea of a possible acquisition by Netflix. In a recent report, Citron Research changed its position on Roku to a positive long-term buy from a “short” recommendation. “The OTT movement has become a mega-trend that cannot be ignored, and the numbers around Roku have completely changed since our November 29 tweet.” Roku’s stock rocketed up to $50 in November from its IPO price of $14. The report also mulled the possibility of a Netflix acquisition, which would extend the big subscription VOD platform’s revenue base with a separate advertising-business. 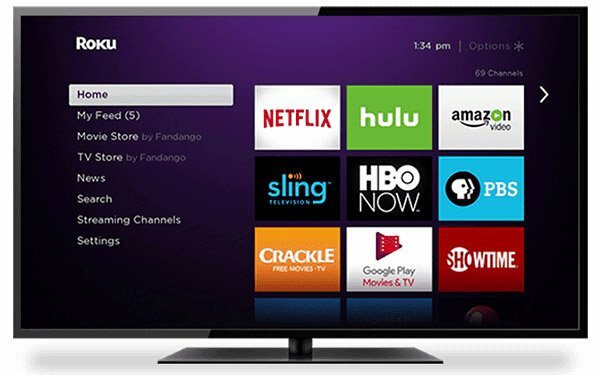 Roku sells advertising avails on hundreds of TV networks. It has 21 million accounts. Netflix executives have long dismissed TV analysts expectations it would create a TV ad-based business to diversify its revenue growth — one in which it would sell TV commercials around its produced or acquired TV and/or film content. Do not mess with my Roku, demon! Go buy Fox instead. On second thought…go in with Disney to buy Fox, and take exclusive rights for the combined studios. Disney and Fox projected to take about 82% of total box office this weekend. That’s not bad. For the year it’s just under 48%.